Founded by Ben Silbermann, Pinterest burst onto the scene from nowhere in 2010 and has grown from fewer than 50,000 users to more than seven million, making it the third largest social network. If you’re already active on Facebook, LinkedIn, Google+, Twitter and other social networking platforms, you may wonder if it’s worthwhile or even possible to add one more social network to your to-do list. If you’re not savvy about social media, you may consider Pinterest to be a hyped up fad that will fade. Actually, Pinterest can provide a powerful marketing boost to your business, whether or not you actually sell products or services. Pinterest is a social media platform where users share photos, videos and graphics that they have created themselves or that they have “curated” from various sources. A Pinterest page may include only one or two boards. However, a typical Pinterest site includes several boards, each with a different theme or category. Pinterest is a visually driven platform, which makes it a natural for fashion designers, department stores, architects and artists. However, many writers and users in industries that are not traditionally associated with the visual arts also use Pinterest. Their boards often reflect themes associated with their work. For instance, a mystery writer may have boards with photos from places represented in her novels. A nonprofit agency may have boards filled with photos of volunteers or staff workers carrying out the duties of the organization’s mission. It’s a good idea to brand your Pinterest board with your company’s logo and slogan to integrate it as part of an overall branding strategy. Organize your company’s Pinterest boards so that visitors make the connection with your company. However, don’t stress if everything doesn’t fall into place right away or if you need to make changes. Pinterest makes it easy to rearrange content on your boards, edit pins, create boards or delete boards that no longer serve a purpose. It’s OK and even expected that the content on your Pinterest boards will feature your company’s products or services. It’s not OK if that’s all you ever post on your Pinterest boards. Pinterest is “soft” marketing – more like a Facebook Page than a Craigslist ad. Re-pinning is fine, but you should also create unique content for your Pinterest boards. 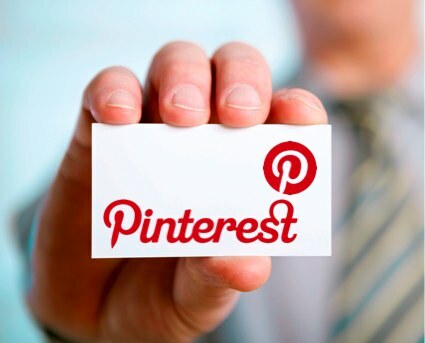 If you sell merchandise or services, it’s possible to handle sales directly through your Pinterest boards. Even if you don’t make direct sales from your Pinterest page, you can and should link your Pinterest page to your company’s main website, Facebook Page, Twitter account and other social networking platforms. Consider adding a “Pin It” button that makes it easy for visitors to your website to re-pin your content to their Pinterest pages. An obvious advantage to this approach is that you ensure that your company receives proper attribution for the repined content. Likewise, you should also provide proper attribution for content that you’ve repined from other boards or websites. This might involve a bit of backtracking detective work to find the original “pinned.” However, the effort is worthwhile in generating good will and preventing possible copyright problems down the road. David Kendall contributed this guest post on behalf of WhoIsHostingThis.com – see here for more information on their hosting reviews. David is a freelance technology writer who enjoys writing for various online publications.